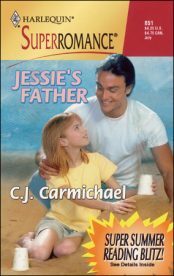 Jessie has a father. She wants a mother, too! Grace Hamilton is an unflappable businesswoman whose self-discipline helped her build a successful company and brought her a glamorous life. But even she is momentarily unhinged when fourteen-year-old Jessie Shanahan interrupts an important board meeting–and announces that Grace is her long-lost mother. Grace knows she’s never had a child, and the quicker she and Levi Shanahan, Jessie’s father and Grace’s used-to-be lover, can straighten this out, the better. This is the my first published book. When I told my daughters the news, my eight-year-old chanted, "Mommy's going to be published! Mommy's going to be published!" My ten-year-old was quick to correct her. "Mommy's not getting published. Her book is!" My working title for this one was "Love Letters From Grace." I'm still rather partial to it! I hope you enjoy Grace and Levi's story. And may I recommend a large moccachino with sprinkles on top to go with it? "I knew it would be a waste of time coming down here. Why did I let Jess talk me into it?" Grace asked her old boyfriend. Damn him, he looked so smug, so sure of himself. "All right, just what is it you have against me?" He crossed tanned, muscular arms over his chest. "Why, I have nothing against you, Grace. I just find it funny how people without children are always ready with pearls of wisdom when it comes to raising them. Too bad you'll never get the chance to put all your knowledge to practical use. Unless you've changed your mind about having a family." "No, I haven't." He knew damned well kids had never been on her agenda. And she was not going to let him make her feel guilty for her choice. "It's easier managing subsidiaries, isn't it, Grace? Plus you get to give others less wise than you the benefit of your sanctimonious advice." Pushing against the table, Grace slid her chair back and stood. They were getting nowhere. In fact, the situation was deteriorating at an alarming rate. "What do you want me to do? Apologize because I never had children, because I always put my career first? Well, why should I? At least I was honest enough to say what I wanted from life, then go ahead and get it. And marched right into Levi, crashing against the solid wall of his chest. Automatically, he put out both hands to her shoulders not having any idea, or so Grace hoped, how his touch sent her panicked central nervous system into overload. Their eyes met, and the memory of a hundred different kisses and embraces flooded Grace's consciousness. She knew her face was suffused with color; she could feel her cheeks burning. And in that instant, she wanted to deny the years that had passed between them, to close her arms around Levi and pull him to her, claiming him as her own. He knew it, too; she saw the comprehension in his eyes as he tugged her nearer, secure in the knowledge that this was what they both wanted. Weariness slid over the heated passion she'd thought she'd glimpsed in his eyes. "Don't come back here, okay Grace? It's better for Jess if you just stay out of her life." Grace lifted her chin as if she could ward off the hurt his words inflicted. Say what he want, she could tell he'd reacted to her physically. Even if only for a few moments. Maybe the feelings had frightened him as much as they had her. "Better for Jess or better for you?" He dropped his hands. "Jess needs limits right now." "Agreed. But do you really think grounding her for a week is going to solve all her problems?" He narrowed his eyes. "This is none of your business, Grace." She realized it. But perversity drove her on. "You just don't want to admit that you need help raising her. That a father sometimes isn't enough." He leaned forward. There was no hint of passion in his face as he looked down on her, inches separating her mouth from the thin, angry line of his lips. "That's dangerous ground you're stepping on. Do you know how Jess really got to your office today?" "She said she took the bus." "Well, she lied. Her boyfriend drove her. I saw him pick her up at the end of the block about five minutes after she left the house." Levi's dark brows rose, mocking her naiveté. "Why don't you leave raising her to me, Grace? You go home and do something easy, like run a multimillion-dollar corporation."